Head of Rabbinical Centre of Europe says anti-Semitism in Europe forces rabbis to spend time on protecting schools instead of spirituality. 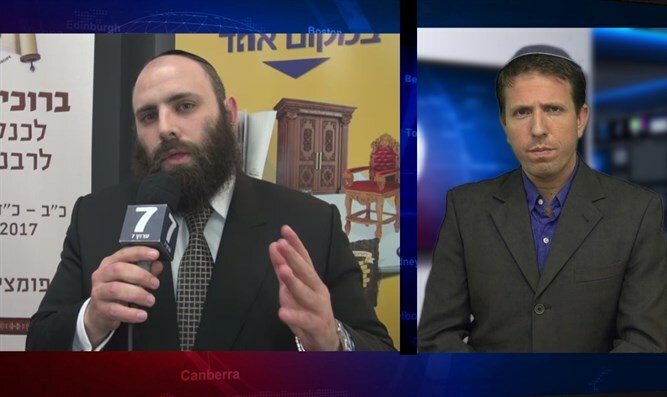 Rabbi Menachem Margolin, the head of the Rabbinical Centre of Europe, spoke with Arutz Sheva at the Centre's annaul conference about the difficulties faced by rabbis in Europe in reaching the European Jewish community. "The main topic the rabbis will discuss during this conference is...basically the biggest challenge for the rabbis, which is 'how can we bring over 80% of European Jewry, who, as of today, are not connected with any Jewish community or organization.' How the rabbis could [conduct] outreach and get them involved in Jewish life," Rabbi Margolin said. When asked if the increase in anti-Semitism in Europe made Jews feel more connected to Judaism, Rabbi Margolin said that the opposite is true. "There is no question that since the rise in anti-Semitism and populist parties in Europe, there are less and less Jews who are happy or proud to walk around with Jewish symbols or [who] feel secure to go to Synagogue or Jewish institutions. So there is no question that the situation of the level of anti-Semitism in Europe doesn't really help the rabbis with this very important job." He said that the rise in anti-Semitism "reduces the tme which [the rabbis] used to invest for education and religious services. And we could see rabbis who are busy more and more with security issues, [with the defense of] kindergartens and schools."